As I'm writing this, we're keeping an eye on a brush fire about a mile away behind our property. The light wind is blowing the fire up the canyon parallel to us. High winds are predicted for tonight and tomorrow, with thunderstorms overnight. I'm hoping for heavy rain to put out the flames, even though this particular spot seems to catch fire and burn every year. It's never come close to us in the past, but you never know. Fire and high winds are a dangerous combination. Several weeks ago we had another fire just up the road, less than a quarter mile away. This one blew in our direction, scorching that end of our property before our volunteer firemen brought it under control. As soon as we were alerted, we sprang into action. While hubby soaked the yard with the hose I gathered the 3P's: pets, papers and pills. We made the decision to not worry about the livestock as they were pastured behind the wind's path and would have been ok. The house dogs and cats were ready to load in our vehicles, I grabbed my grab-and-go emergency binder, laptops and chargers, and hubby's pills, scooping everything into a tote bag. We were ready to go in less than 10 minutes. It turned out to be just a drill, thankfully. The fire truck arrived in record time. Afterwards I thought of a few more things I could have grabbed as well, and I identified some things I shouldn't have spent time on. For instance, I should have just thrown the dogs' harnesses and leashes into the truck instead of fussing over putting them on. The dogs would have willingly jumped inside the truck, happy that they were going for a ride; leashes and harnesses could have been put on later. And I could only locate one of our two cat carriers... and then I remembered that we have a third cat now. I improvised and put all three cats in a dog crate to be carried to the truck. 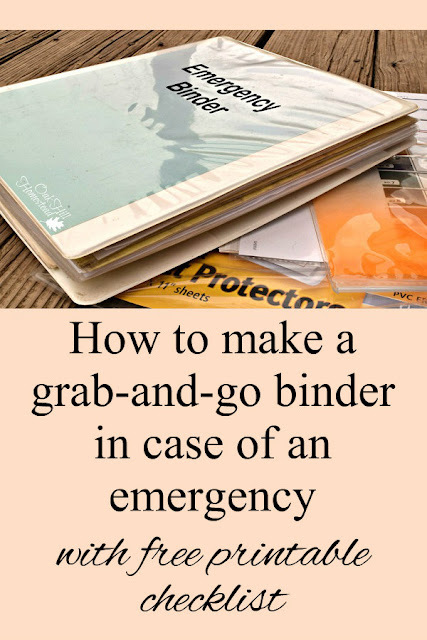 I was thankful that I'd spent time a few years ago putting together our grab-and-go emergency binder. All I had to do was put it in the tote bag, knowing that all of our important papers were safely inside. It took all of thirty seconds to grab it and go (hence the name, obviously). There are several ways to organize and store your personal information; a grab-and-go binder is just one option. But since several readers asked me about ours after I mentioned the fire in my weekly-ish newsletter (which you can sign up for here if you'd like), I wanted to talk about how I put ours together. I've also made a free checklist to make it easier for you to make one, too. 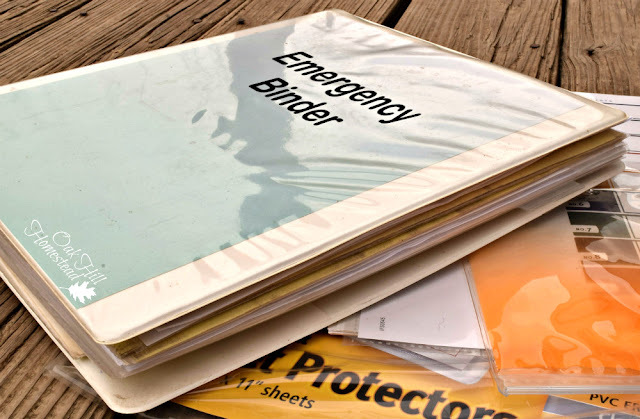 Plus, whether there's an emergency or not, having your papers stored in one place and well-organized will benefit you in many ways. You'll be able to find any paper you need for whatever reason in just a few minutes. And just think of the favor you are doing your family by having all this information in one place. They may need access to it all someday. Make sure they know where you keep your important information. Feel free to modify these directions to fit your circumstances and comfort level. If you're happy keeping your documents in a safety deposit box at the bank, don't change just because I have a binder. Then gather the following documents, tailored to your family and your situation. If you are missing any of these items, this is an excellent time to gather them from wherever they are hiding or get replacements, order certified copies of legal documents such as birth certificates, and decide if you need to update your will or insurance coverage. Medical Power of Attorney, Living Will, etc. Don't forget your pets and livestock; they have important papers too. Make a list of your extended family members' and friends' phone numbers. Don't rely on your cell phone to store them all. Print out all those contacts and keep them with your important papers. Make an emergency contact list of important numbers such as doctors, school, work, neighbors and employers. Here's how to put it all together and get it organized. You can download and print a free copy of my checklist here so you don't forget anything. What size binder should you use? It depends on how many papers, documents and records you have. We started with a 2"-wide 3-ring notebook but over the years we've moved into a 4"-wide binder. Yes, it's heavy. I keep it in a sturdy tote bag all the time so it's easy to grab and secure to carry. 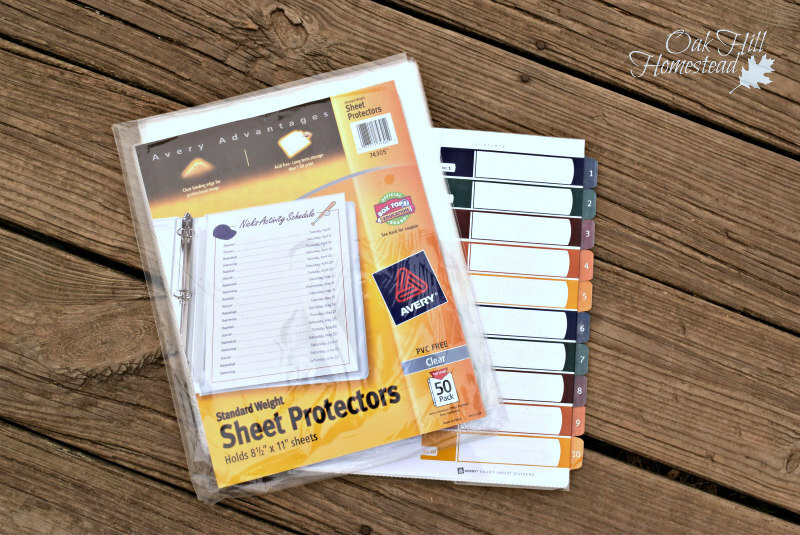 I use sheet protectors to hold our documents, and dividers to organize them all into these general categories. You can organize your documents in whatever way makes sense to you. Animals - I put all of the rabies shot certificates in one sheet protector, the spay/neuter papers in another, copies of the horses' registration papers and Coggins tests in a third sheet protector, and a fourth holds the goats' paperwork. (I also have some printable goat records here if you need some.) You could organize these by animal if you wish instead of by species as I have done. If you're already a well-organized person, this might not take you long. In fact, if you're well-organized you probably already have a system you don't want to change. That's fine. Just spend a few minutes analyzing whether or not you should rearrange your files (or whatever) so you could grab the important ones in a hurry. Maybe you want to put the important files in red file folders? I spent several weeks locating all of our papers and documents from the various file drawers and other places they were hiding, and I sent off for an extra copy of the kids' birth certificates while I was at it. Now that our grab-and-go emergency binder is all assembled, I spend a few minutes a couple of times a year updating it. I remove any outdated papers such as loans we've paid off, replace the annual statements our insurance company sends us, and replace the dogs' previous rabies shot certificates with the current ones. 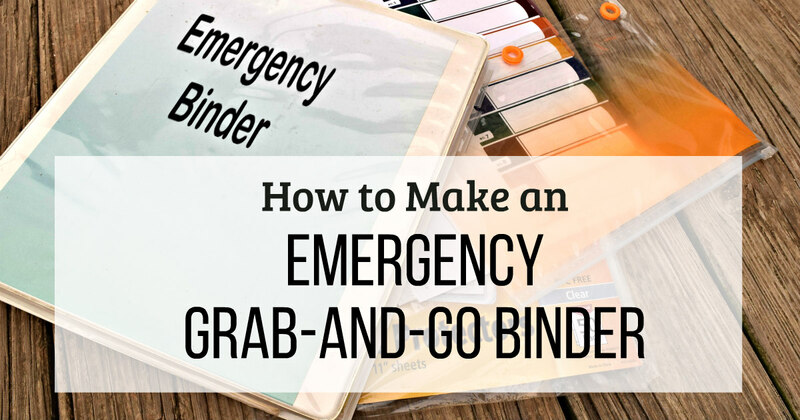 If we ever need to evacuate quickly, we can grab our emergency binder and head out the door in just a few minutes. Putting this all together was time well spent. Thank you for this post. We have a binder too but you have some things I had not thought of. We both have plastic shoe boxes with our prescriptions and supplements in them. Easy to grab and go too. I experienced a fire that destroyed my home many years ago and believe me, I do not want to be caught like that again. We have or stuff to get to easily and since we have lots of tornado action around us, along with wildfires, it pays to be prepared. Great post and thanks for helping me to see a few other things we need to add. I'm glad it helped you think of other papers to put in your binder. I like the shoebox idea for prescriptions. Thank you Kathy. This is a wonderful resource page. I am going to "hop right to it" as my mother used to say and put ours together. Good for you, Loy! I'm so glad this was helpful to you and motivated you to get started. 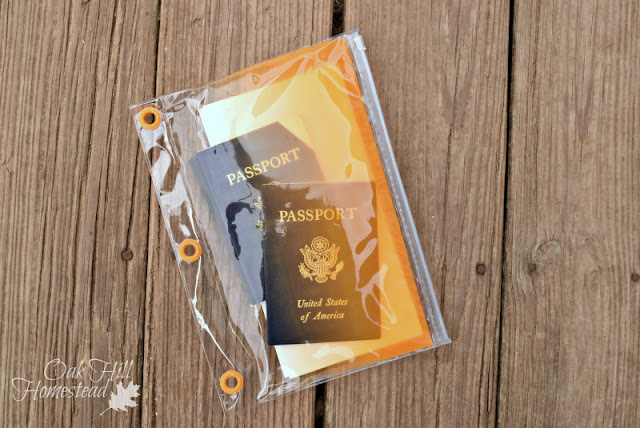 We have one of these binders so we can grab and go along with our 72 hour kits. Found you on Simple Homestead Blog Hop. 72-hour kits are another subject, for sure! Thank you for stopping by, Candy. I live in hurricane Florida and I really should get motivated and make this album since we NEVER know if it is going to destroy our house. Thank you for the tip and motivation! Hi Kippi. I hope this has inspired you to get yours done! You won't regret the time spent, believe me.